Anyone have guesses for The Newest Book? It's from the Quizara's Curse Leapfrog game codes. JN's database said 2mil, I was offered 1.1mil today but I'm not sure if that's a good offer or not. Would love to hear from some book collectors. Thanks! Lost City Lanes - Problem? Just chiming in to say this is 1000000% normal. I play Lost City Lanes a lot, the score is indeed around 1300ish. It can take a while occasionally, but in my experience it's usually one day, sometimes two days. 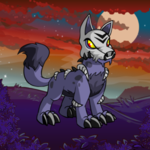 Oh my gosh these are precious...just got my first Woodland pet but I didn't have a petpet in mind yet. Now I have some ideas, thank you! The Blobikins is my favorite, but I'm not sure if it'll go with a Woodland Uni, hmm. I particularly like Halloween Antwerphs: But I agree, all of the Maraquan petpet colors (and pet colors) are so well done. They clearly put a lot of thought into which sea creatures would mesh well with each pet/petpet. I have a list of things I like to do every day, and those are usually enough to keep me busy: 1. Dailies 2. Whichever random avatar/trophy things I'm trying to get at the moment. It was Coconut Shy but I got that one today (yay!) so now I'm working on Dice-a-Roo and Pyramids. 3. Battledome - I have premium so I fight Jetsam Ace until I've used my item limit for the day, usually 8-10 fights. This gets me 40k+ depending on how lucky I am with Nerkmids that day. 4. Place Food Club bets 5. If I still need more to do, I'll do my 5 daily jobs at the employment agency. If you play smart, this is 30k+ in profit per day (using SSW). Honestly, I only play games if it's the first of the month/trophy time, or if the featured games are good NP makers. Well, it's been a few days and nothing...I think that's the end of it unfortunately. I guess there's always next month. Oh definitely, what kind of savage doesn't do the X pattern?? I do an X shape, then if there's two of a kind, I choose the last place as the one that's next to those two. Totally scientifically proven to increase luck! Just a PSA in case people didn't see it elsewhere: looks like the script that awards game trophies glitched out last night. It got partway through awarding trophies and then died. I think it goes through games in order of their game ID, so games with lower ID numbers worked, but later ones didn't. I personally got one trophy but not another, despite the fact that I'm still in the gold score range as of this morning. Just wanted to spread awareness in case anyone else is confused like I was. Do you guys have any silly things that habitually do, even though you sort of know they aren't real? For example, I've been working on the Dice-a-Roo avatar, and I swear I always do better if I just line my mouse up and click the button repeatedly without watching the screen (usually watching TV or playing Ghoul Catchers). I'm starting to think Dice-a-Roo is shy or something....? I know there have been a lot of theories about how to win more at certain dailies that have been debunked over the years, does anyone still do those tricks anyway just for luck? Does anyone still play Ghoul Catchers? I play it whenever I have some downtime, but the gameplay frustrates me way too much to actually try to beat it. I just play level 2 on repeat. The only thing that really annoys me is that the text is often bugged and says that I've already reached my limit for the day when I know I haven't, so I have to try to keep track of how many times I've done it so I know when I hit 50k. It probably takes me like 20 minutes to hit the limit, so it's pretty quick/easy NP. Well, it looks like it would cost me about 40k to complete my latest quest from him. I think I'm done for a while until TNT can figure out how to actually keep the inflation down.